Telemarketing is not an easy job. It’s a profession that’s much maligned. Despite this, telemarketers generate millions of pounds of revenue for the businesses for which they work. A good one is worth his or her weight in gold. So, assuming that you don’t want to recruit a professional agency such as ours to do the work for you, how do you recruit a good telemarketer? What do you look for? Below are our tips. If you want more tips for telemarketing success, download our short free guide that you can find alongside this blog or check out our Complete Telemarketing Success Guide on Amazon. Also, read our blogs Are Telemarketers Born or Made? and Why Telemarketers Fail from the Moment they Open their Mouths. Of course, past experience counts. But you can train skills. You can’t train a willingness to apply oneself and a sunny disposition. My daughter is currently travelling in Australia and got a job in a call centre. She comes from a buying background and has never done cold calling. In her first week, she finished 3rd out of 26 callers. Yes you can create a positive work environment for callers but downbeat people can poison a happy environment. So, chose people that smile and emit positive energy. It may be hard to gauge this the first time you meet someone. But, a good interviewer knows how to ask the right questions to drill down and find out. Ask what motivates them and how. Ask them to provide examples of self-motivation and don’t let them give sketchy information. Ultimately, if you have to constantly drive them to perform, they probably aren’t the best people to have on your team. You want a caller that is outcome and goal oriented. How do they sound? We often interview over the phone since that’s the job they will be doing and we want to hear the intonation in the voice. How do they come across? We expect them to be nervous but is there warmth in intonation? Do they sound friendly? Can you hear the smile in their voice? Studies show that when the visual aspect of face to face communication is removed, nearly 85% of the impact on the phone is the tonality rather than words. So, check out how they sound on the phone. A combination of the thrill of the chase alongside the drive to earn commission would be perfect. Clearly, it’s not all about money and some sales people just love the achievement. Either way, there needs to be some driver to push the cold-caller towards achievement of their goals. They need to show belief that they can reach, and ideally smash through, targets. If they think they can, they probably can but if they think they can’t they most certainly won’t. Over the years, we’ve taken a view on new people with a ‘give it a try attitude’. That’s not the same as a positive attitude and a sunny disposition. These people aren’t sure but are driven by the hope they can earn some money. 9 times out of 10 this fails. You need confident callers. They won’t just ‘find’ confidence as they go along. Confidence is different to arrogance as that can be an impediment to learning and change. But you need to see that twinkle in their eye that says they know they can deliver. Confidence doesn’t work without empathy as this helps the caller build rapport. Arrogance manifests in terms of lack of listening and talking and pitching. At higher value sales, you need your callers to engage and build relationships. So, check out how they’ve done that in the past. How do they build rapport with you at interview? Chances are they’ll be similar on the phone to prospects. You can be a great caller but if you don’t follow-up, you’re doomed to fail. A significant amount of cold calling is monotonous where you need to bash out a given number of calls each and every day. You need callers that can demonstrate they can hack it. They need to be able to show you they can do what’s needed to deliver 100+ calls per day and consistently hit their KPIs. So, check out what evidence they have of doing this. Some people are better than others on the phone. Many telemarketers have had skills training which is a big asset. But, they still need to be open to input, suggestions and support. That could be about your products and services, proposition, marketplace or different telemarketing techniques. It’s a team effort and you don’t want callers to bury their head in the sand. Probe on their approach to calling and whether they may be more maverick than a team player. After all, you don’t want a loose cannon on your hands even if the best sales people may be harder to control. 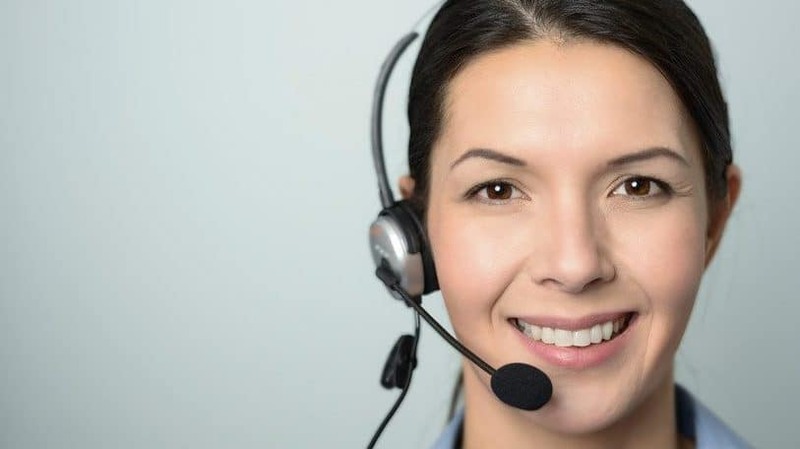 A blend of questioning skills and listening techniques are what’s needed for telemarketing success. How does your prospective caller come across at interview? It’s clearly more about them answering questions at this stage. But do they understand your questions? Do they seek clarification if not? And, do they have some insightful questions of their own for you once you’d finished your interview? We role play with callers before they work with us. A good caller needs to know how to handle gatekeepers, how to overcome telemarketing objections and knowing how to deal with rejection. They won’t get far if they don’t know how to deal with these situations. Check this out. Throw some curveballs at them and see how they react. Do you Need to Shut up and Listen to Win More Business? Is Short-termism Killing your Lead Generation?